This week’s UK government Brexit paper on ‘enforcement and dispute resolution’ should, therefore, be welcomed as injecting a portion of realism and pragmatism in the debate over the ECJ. As I have argued previously, one can broadly identify four types of disputes that are likely to arise after Brexit. These are disputes over (1) cases that arose before Brexit; (2) the interpretation of the withdrawal agreement, in particular on citizens’ rights; (3) the interpretation of possible transitional arrangements, which may replicate some EU law; and (4) the agreement(s) on the future relationship between the EU and the UK. When it comes to agreeing on dispute settlement clauses between the EU and the UK, the EU side is constitutionally limited by the ECJ’s position concerning its own exclusive jurisdiction to render binding interpretations of EU law with effect for the EU legal order (see Opinion 1/91). There are no comparable constitutional limits in the UK legal order, but Theresa May’s red line would have constituted a serious stumbling block to finding agreement on dispute resolution. The position paper’s partial retreat on the matter – performed semantically by reformulating the red line as bringing about an end to ‘the direct jurisdiction’ of the ECJ – is significant and paves the way for an agreement along the lines of the dispute settlement regime found in the EEA Agreement (though it does not answer the intriguing question of what is direct jurisdiction of the ECJ). The UK paper does not really take a position on any specific dispute resolution model, but canvasses a number of models that dispute resolution and enforcement could have in a post-Brexit setting. It can be assumed that the UK government considers none of these options politically unacceptable so their merits and drawbacks can be assessed with this in mind. Most of these models are mainly interesting for the future EU-UK relationship. As far as the ECJ’s continued jurisdiction over cases arising before Brexit is concerned, however, the position paper is silent. But the UK government’s position can be found in the European Union (Withdrawal) Bill – once known as the Great Repeal Bill. Unless amended in the legislative process, it seems to follow from Clause 6 of the bill that a UK court can no longer refer a matter to the ECJ after Brexit Day – which would chime with the loss of the right to do so under the EU treaties. Importantly, the clause also reads that that UK courts are ‘not bound by any principles laid down, or any decisions made, on or after exit day by the European Court’ – which would mean that, if a preliminary ruling procedure initiated by a UK court is pending in Luxembourg and the judgement is handed down on or after Brexit Day, the UK court will not be bound by it. It may be, however, that the withdrawal negotiations bring a different outcome. 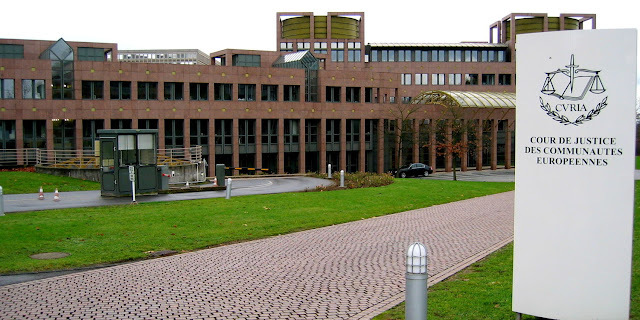 Where the ECJ’s jurisdiction over disputes over the interpretation and application of the withdrawal agreement is concerned, the European Commission position paper on citizens’ rights envisages a continuation of the ECJ’s role as it presently exists: both enforcement actions by the Commission and preliminary references from UK courts should remain possible. This would be difficult to accept for the UK, even under its modified ‘direct jurisdiction’ line. At the same time, there would not appear to be a constitutional need for the EU to insist on a direct involvement of the ECJ in proceedings concerning the UK. It would perhaps suffice to either create a special international court, similar to the EFTA Court – dealing with requests from UK courts – or, perhaps cheaper, for the UK to promise a specialized domestic tribunal dealing with such cases and closely following the ECJ’s case law. Dispute settlement under the future EU-UK relationship agreement (or agreements) is much harder to predict. This is where the various options canvassed in the UK government’s position paper – ranging from Joint Committees and arbitration to an EEA-inspired international court – come into play. What is most striking in the paper is the lack of any discussion of envisaged dispute settlement procedures, and notably of who would have access to dispute settlement. Some of the options discussed would only provide for the resolution of inter-party disputes, others for investor-state arbitration, and others still would seem to allow for reference requests from UK courts to a variation of the EFTA Court, which would in practice follow ECJ precedent. Of course, much will depend on the substantive content of the future EU-UK deal. If it replicates EU law to a large extent, then an arrangement based on the EFTA Court is the most likely. If, however, it is a mere free trade deal, a much more traditionally international form of dispute settlement – possibly even restricted to political settlement – is conceivable. The UK government’s paper is cautious and disclaims any preference for one of the models discussed. One can, therefore, assume that not every model might receive the same amount of political support. At the same time, the recent public insistence by some of the most ardent Brexiteers that the EFTA Court is something completely different from the ECJ, as it cannot issue binding preliminary rulings and because EEA law does not have direct effect, suggests that something may be moving politically and that the UK might eventually be in a position to agree to a workable compromise which is acceptable to the EU as well. Dr. Tobias Lock is Senior Lecturer in European Union Law and Co-Director of the Edinburgh Europa Institute at the University of Edinburgh. His research focuses on the EU’s multilevel relations with other legal orders, including the European Convention on Human Rights. This article is reprinted IndraStra under the Creative Commons (Attribution-NonCommercial-NoDerivatives 4.0 International) License provided by the original publisher. DISCLAIMER: Please note that this article represents the view of the author(s) alone and not European Futures, the Edinburgh Europa Institute nor the University of Edinburgh.